UFC 223 rolls into Brooklyn after one of the craziest weeks the sport has seen. 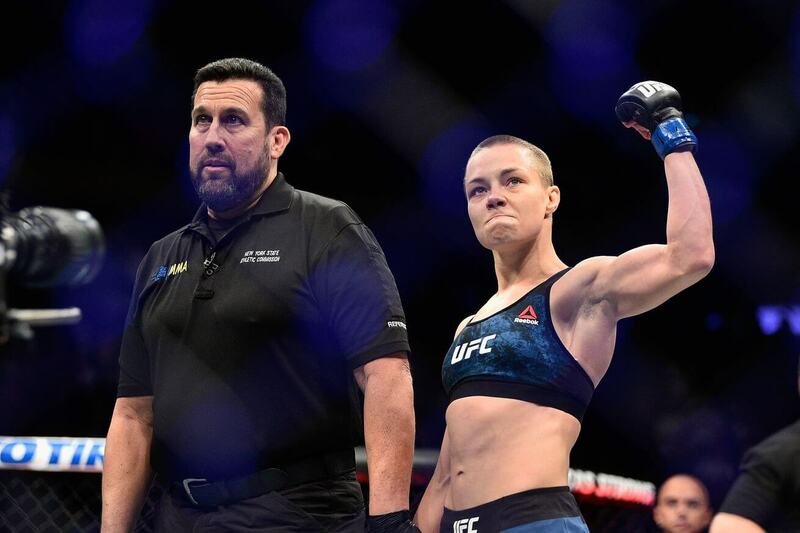 The Palmerbet Sports Team take a look at the Women’s Straw Weight Title rematch between Rose Namajunas and Joanna Jędrzejczyk. Jedrzejczykrk – 14-1-0 (4 wins by KO, 1 by Submission). Final Thoughts: The Strawweight title sees a rematch of UFC 217 where champ Rose Namajunas looks to dispatch Polish decision master Joanna Jedrzejczykrk as quickly as she did in November (3 minutes). Namajunas has quickly established herself as a force in the 115 pound division, with some devastating submissions. A surprisingly good ground game has seen her over powering opponents quickly and working effectively towards TKO’s and Submissions. An unlucky decision in UFC 201 broke what would have been a 6-0 record leading into this fight and she goes in with confidence and a title to defend. Jedrzejczykrk’s unbeaten 14 fight run came crashing to earth at the hands (literally) of Namajunas and she’ll need to drastically alter her game to claim the title. Fitness has been the key to her success, with efficient defensive skills, and a strike rate per minute almost double that of her opponent. Its that striking that needs to get the job done in this one. She needs heavy hands. Otherwise she’ll be susceptible to the ground game and submission skills of Namajunas. Its easy to look at Joanna’s 14 win unbeaten run and consider the last match up a one off but we’re not convinced she can end the bout before Namajunas takes control. Namajunas just looks too effective.